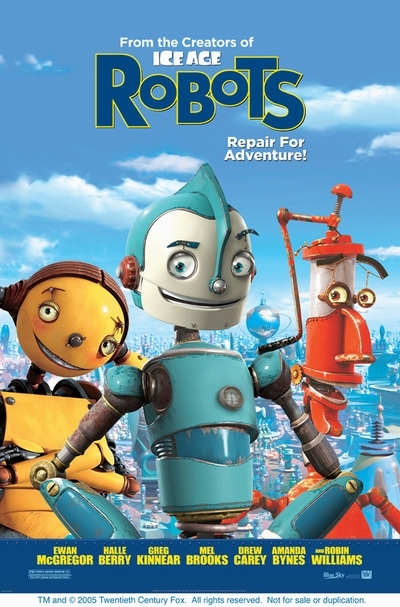 Story: Academy Award winning director Chris Wedge, who made the blockbuster animated hit "Ice Age," now creates another visually spectacular, three-dimensional world, with an all-star, award-winning cast, in "Robots". Beyond the scope, freshness and vibrancy of an incredible world populated solely by mechanical beings, Wedge and his team are creating memorable robots, each with "his"/"her" own distinct personality. The result is a timeless tale that pushes the boundaries of animation, while introducing characters rich with whimsy, heart and soul.